We all knew it couldn’t last forever. When the streaming revolution first began to take hold, millions of households throughout the United States began cutting the cable in response to the incredible value offered by major streaming services. Over time, though, some of the biggest names in streaming from Netflix to Hulu began slowly raising their prices due to increased demand expanded infrastructure and the hefty price tags that come with original programming featuring A-list talent. While climbing prices haven’t yet stopped the incredible growth of streaming services, one of the fastest-growing services announced this week they, too, would be increasing prices. Starting this week, fuboTV is raising its monthly subscription to $54.99. How will subscribers react? With the addition of popular channels over the past year, including AMC, Cartoon Network, CNN, TBS, TNT and, soon to come, BET, CMT, Comedy Central, MTV, Nickelodeon, Nick Jr., Paramount Network, TV Land, VH1 and more, plus dozens of other national and regional channels, fuboTV is re-pricing its base subscription package, fubo, to $54.99. Starting March 28, new customers who sign-up for fubo at this price will receive a $10 discount on the first month. fuboTV assures customers its “committed to continuing to deliver the best of live TV to our customers, as well as an exceptional user experience with 4K streams and premium features.” fuboTV recently became the first streaming service to stream the MLB in 4K and even streamed some games of the NCAA Men’s Basketball Tournament in 4K. fuboTV remains one of the best values in a cable-replacing streaming service, offering the best the sports world has to offer as well as many of the most popular cable and broadcast networks (still no ESPN, though). 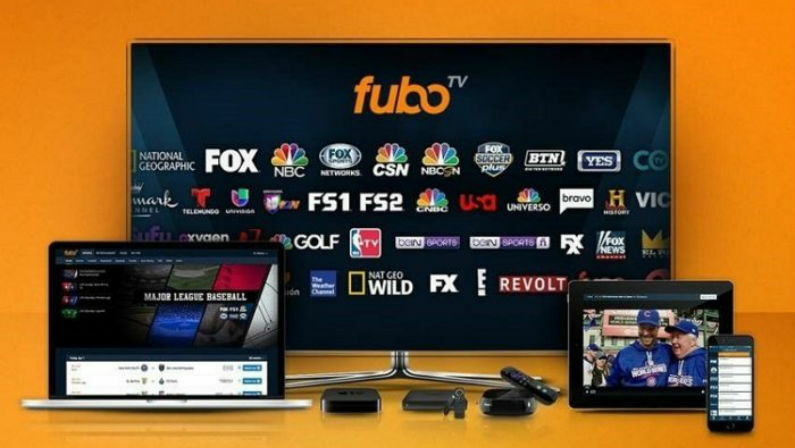 fuboTV has also been upgrading its apps, improving personalization and recommendation features, expanding its cloud library features, and will be launching on more platforms this spring including many smart TV models. Think fuboTV might be for you? Try it out with a free 7-day trial and see why so many sports fans are cutting the cable and subscribing to fuboTV. New customers can get $10 off for their first month, after which a fuboTV subscription is just $54.99/month for over 100 channels.